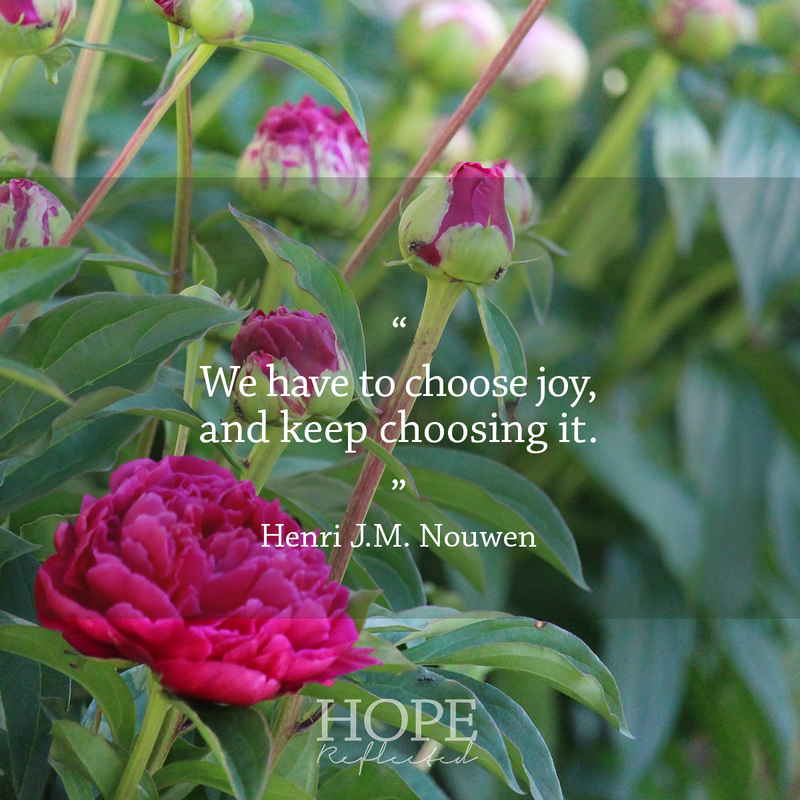 The notion to “choose joy” suggests that joy isn’t so much a feeling as it is a choice or a habit that we purposefully develop. While you may not be happy, you can still choose joy. While happiness resides temporarily in your heart and relies solely on your circumstances, joy indwells your spirit and can be yours at any time so long as you make the choice. C.S. Lewis once said, “no soul that seriously and constantly desires joy will ever miss it. Those who seek, find. To those who knock, it is opened.” Lewis also said, “I didn’t go to religion to make me ‘happy’.” Just because you’re a Christian doesn’t mean that you’re guaranteed the path to Easy street. Just because you’re a Christian doesn’t mean that you’re exempt from challenges. Just because you’re a Christian doesn’t mean that you’ll always be “happy”, but it does mean that you’ve got a relationship with the Creator, and you’ve got direct access to the One Whose arm can move the world. Mentioned more than 165 times throughout the Bible, joy is a fascinating thing. Joy, when we choose it, can arm us and equip us with many blessings. Joy can be found in many places. In God’s presence. “Thou wilt show me the path of life: in thy presence is fullness of joy.” (Psalm 16:11) When was the last time that you sat and just revelled in God’s presence? We often get caught up going through the motions of our morning or evening devotions and telling the Lord what we want from Him through prayer once or twice a day that we miss out on the simple delight that comes when we stop to enjoy His presence. It’s in His presence that we can experience the fullness of joy. In sorrow. “Make me to hear joy and gladness;” (Psalm 51:8) This verse continues, “…that the bones which thou hast broken may rejoice.” That’s heavy. David (yes, David as in David and Goliath, that David) wrote Psalm 51 at a very low point in his life. He had an affair with a married woman (Bathsheba) whose husband was away at war. And what happened? Bathsheba became pregnant, and to cover his tracks, David ultimately had her husband Uriah killed at war. The prophet Nathan called David out on his sin, he repented, and that’s the backstory to David penning Psalm 51. In the midst of his sorrow, David asked the Lord to make him hear joy and gladness. And the Lord heard him. David’s testimony isn’t the only place we read about finding joy in sorrow or hardship. In James 1, we’re encouraged and reminded to consider it “all joy” when we experience trials, because it is then that our faith produces patience. In the morning. “Weeping may endure for a night, but joy comes in the morning.” (Psalm 30:5) Lamentations 3:22-23 says that, “Through the LORD’s mercies we are not consumed, because His compassions fail not. They are new every morning; great is your faithfulness.” Along with the Lord’s mercies, joy comes in the morning. If you’re not a morning person, I can appreciate this may not be what you want to hear, but it’s true. There’s something about the quiet of a new day dawning, an opportunity to start over, and a fresh perspective that makes joy that much easier to find. Nehemiah 8:10 provides the reassurance that, “the joy of the LORD is your strength.” If you’re truly seeking after joy, God will give you strength. And it is only in God that your joy will be full (John 15:11). Originally published as “Choose Joy.” Minto Express, Independent Plus, Arthur Enterprise-News, Mount Forest Confederate. April 12, 2018: 6. Print. Web.